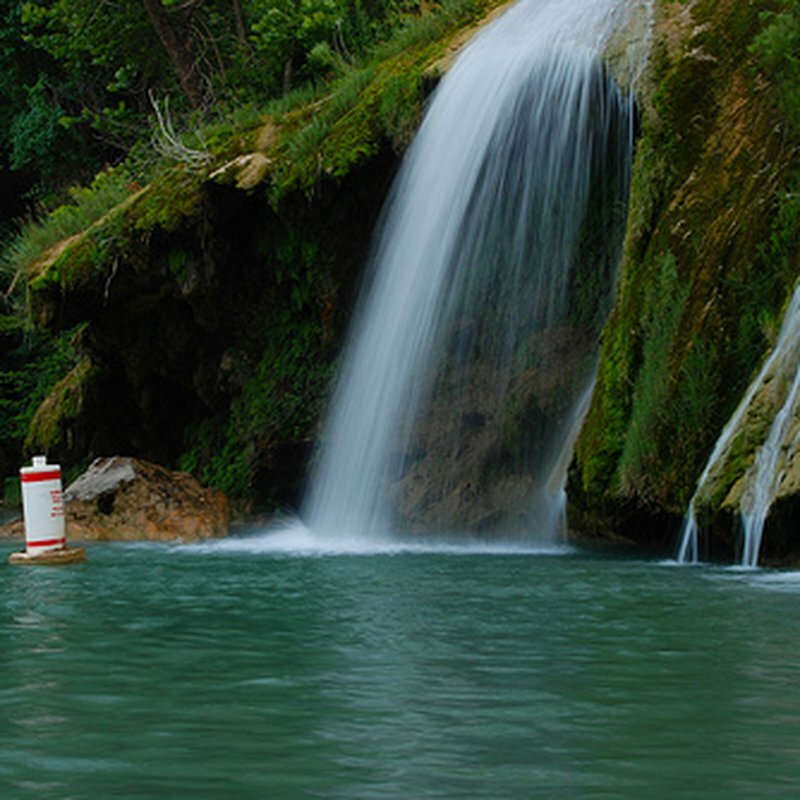 Turner Falls is one of Oklahoma's tallest waterfalls, dropping 77 feet into a natural swimming pool. 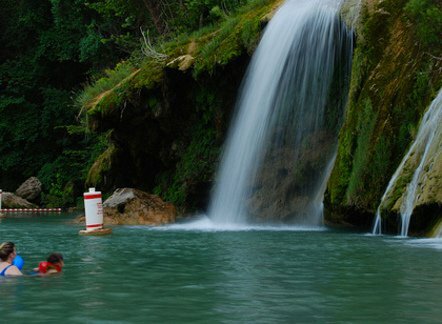 Located on Honey Creek in the Arbuckle Mountains near Davis, Turner Falls Park draws thousands of visitors each year who enjoy swimming, hiking and camping. Please note, no pets are allowed in the park and children under 12 are required to have a certified flotation device. 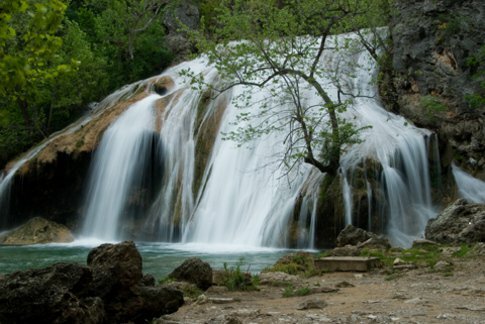 Located in the Arbuckle Mountains, which are among the oldest mountains on earth, Turner Falls Park has been described as one of the three geological windows into our past, along with the Grand Canyon and the Black Hills of South Dakota. These ancient mountains have been exposed to the elements and eroding longer than younger ranges, so they aren't the tallest mountains, but they are a beautiful backdrop for an outdoor adventure. 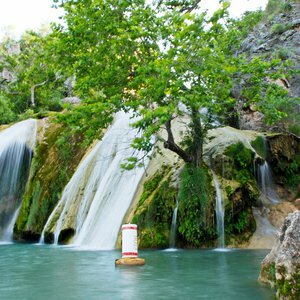 The highlight of Turner Falls Park is the clear water that flows throughout the park creating rippling creeks and natural swimming pools perfect for keeping visitors cool on hot summer days, although the crown jewel of the park's watery playground remains the 77-foot picturesque waterfall. 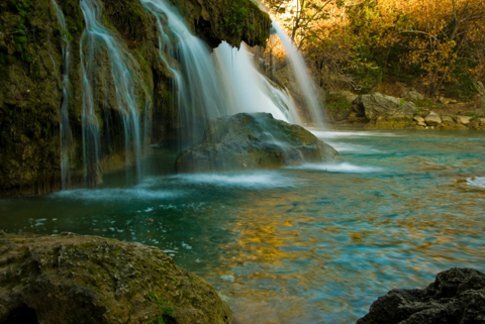 Visitors to Turner Falls Park will also enjoy hiking along the nature trails, exploring the park's three caves, discovering Collings Castle and fishing the trout-stocked streams from November thru March. Campers will also find RV and tent campground areas as well as privately owned rental cabins in the park. 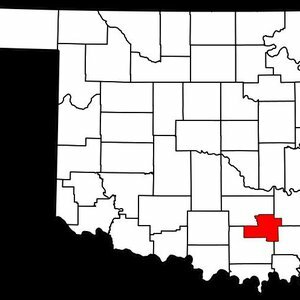 Trout fishing requires Oklahoma fishing license & small fishing fee. While every effort has been made to ensure the accuracy of the pricing listed above, prices are subject to change without notice. From I-35 S, Exit 47, then S on Hwy 77 for 1 mile. From I-35 N, Exit 51, then N on Hwy 77 for 3.5 miles. 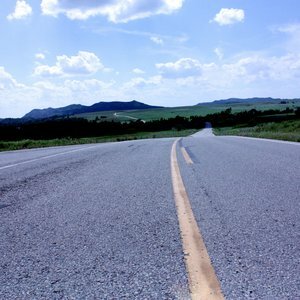 Explore these top five routes for motorcycles in western and south-central Oklahoma and enjoy the freedom of Oklahoma’s bike-friendly highways. 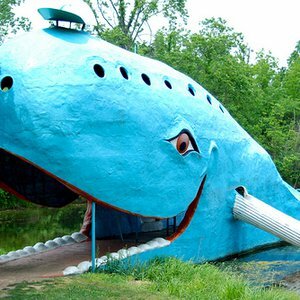 Take a trip down memory lane to childhood favorites in Oklahoma. Still standing after all these years, these attractions are a little bit kitschy but amazingly cool. 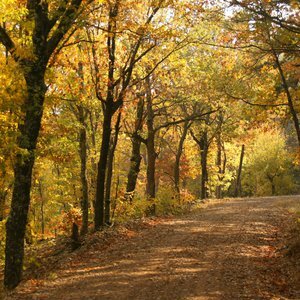 The Arbuckle Mountains of south-central Oklahoma harbor an outdoor paradise featuring a rolling landscape dotted with waterfalls, lakes and hiking trails. 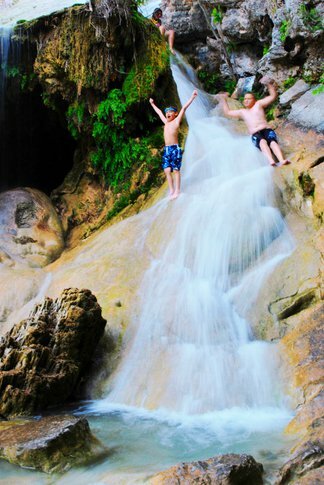 Explore three Arbuckle treasures - Turner Falls Park, Chickasaw National Recreation Area and Air Donkey Zipline Adventures.